"Let our advance worrying become advance thinking and planning"
I found this quote to be more intriguing and resonating with the current engineering student’s mind-set. A number of engineering students are finding it extremely difficult to decide upon a good project topic to do for their curriculum. Especially, this is very challenging for electrical engineering students as they need to come up with a project topic that should be both innovative to showcase their skillsets to recruiters as well as simple enough to learn and complete within the short period of time that they have. Because of this, a number of EEE students go into an advance worrying mind-set which lowers their confidence and enforce themselves to go for ready-made projects that are sold on the black market. By buying such ready-made projects, they are not only compromising their learning but also their engineering career. As you know already that the projects you build play a very vital role in getting good core engineering jobs and acquiring higher studies admissions in esteemed universities. So avoid buying ready-made projects at any cost. If you take a reference of what Winston Churchill stated above, you can channel the advance worrying in an efficient way to do better thinking and planning to finish your project campaign successfully. But, this still doesn’t help you with the solution for doing the project isn’t it? Changing your mind-set to advanced thinking and planning is one thing but putting them into action is another thing. You need some tools at your disposal to achieve this effectively. IEEE projects list is one such tool that can help you select a good Electrical Engineering (EEE) Project topic. IEEE (Institute of Electrical and Electronics Engineers), is the world’s largest technical professional society dedicated to research about the advancing technologies and innovations happening across the globe. The society is designed to help professionals in the field of electric, electronic and computing fields. By referring the IEEE Electrical Engineering (EEE) projects list, you can get a pretty good idea about the trending technological topics, advanced implementation methodologies and processes. From them, you can shortlist a list of topics which suits your requirement and plan accordingly along with your team members. Referring the IEEE EEE projects list alone is not enough to complete your electrical engineering project. You need to prepare a plan and execute it accordingly. Below are some important points that will help you complete an IEEE project successfully. Shortlist only the project topics that are feasible for you to complete. Consider the infrastructure facilities, resources and mentors available at your disposal before deciding with the topic. Once you shortlist an IEEE Electrical project topic, identify all the technologies that you need to learn prior to complete the project successfully on your own. Then start learning those technologies before you begin with your engineering project. Stick to your area of interest. It might be tempting to go for an EEE project topic that represents a domain that is completely alien to you, but remember the objective of doing engineering projects is to increase your skillsets and help you land in your dream core job. Check for the ready availability of resources needed to complete the project. If your project requires rare electrical & mechanical components, then you might not be able to acquire them within the short project duration that you have. So be cautious while selecting such project topics. Prior planning is very vital to complete your IEEE Electrical project. Try to predict the timeline for project completion and modify it to match with the project duration that you have. 1. Solar Tracking System with Automatic Panel Cleaning Mechanism for Efficient Power Generation: The main objective of this electrical project is to develop a device that can generate electricity by trapping the natural energy sources. We all know that solar power is one of the most abundant energy source available, yet we utilise its potential so little. Through this project you will develop an electrical device that can trap solar energy with the help of solar panels and to improve the efficiency, the panels can orient themselves to the direction of maximum light intensity at a given time. Also these solar panels will a unique mechanism that facilitates the automatic cleaning operation in order to generate maximum electricity by trapping more intense solar rays. 2. Smart Meter for Power Factor Enhancement in Real-Time: The existing energy meter that we use day-to-day in our lives pose a number of challenges and obstructs the power factor enhancement. Some of the major problems include, difficulty in construction, poor real-time, too low rate and narrow bandwidth, no two way communication etc. In order to solve these problems, the energy meter should be made smarter. The objective of this project is to develop an automatic meter reading system that can track the energy consumption real-time and informs both Electricity Board & the consumer to make them aware of the energy usage. This will greatly impact the electricity usage behaviour of consumers and also the data that is being collected will be stored on the cloud platform and will be used to intimate users real time. 3. Automatic Fault Detection and Location of Transmission Lines using IoT: Energy leakage is one of the major problems that the corporation faces in recent times. Bringing this leakage under control is next to impossible with the electrical transmission lines running millions of miles across the country. Only way to solve this problem is to come up with a mechanism that can detect the fault in an electricity transmission line automatically and intimate the authorities with a specific location. Through this project you will develop a device that uses sensors to sense the incoming & outgoing values and detect anomalies. And also the system will be integrated with the IoT mechanism, so as to intimate the responsible people real time with the location information and scale of leakage with an App. 4. Fire Fighting Robot: With urbanisation on the rise, it is becoming more and more difficult for the corporations to meet the consumer demands. This includes assuring safety, uninterrupted power & water supply, efficient road ways & transportation means. One of the biggest challenges is to provide immediate response to a fire break out. With the traffic at peaks during the working hours, it is becoming very tedious for the fire department to reach the site on time. One way to solve this is to implement autonomous robotic systems that can act immediately. Through this project, you will develop a fire fighting robot that can detect the fire, move in that direction and put it off. The robot will be equipped with IR sensors to detect the fire happening at longer ranges, DC motors to help them move in the direction of fire, Fan or Extinguisher that is mounted on the robot to put out the fire and a microcontroller to process & control all the operations. 5. Energy Meter Billing with Theft Detection: Electricity became an inevitable part of our lives and our day-to-day tasks largely depends on it. You can’t imagine a day now without electricity, all the machines that make us work more efficiently & conveniently runs on electricity. Such is the important of this resource and citing the vulnerability of our energy metering systems, a large number of power thefts are also happening each day. The objective of this project is to develop a smart energy meter that will help in reducing the illegal usage of power and lessens the power theft. This can be achieved by programming the energy meter to send real time power consumption data to both electricity board and consumers. 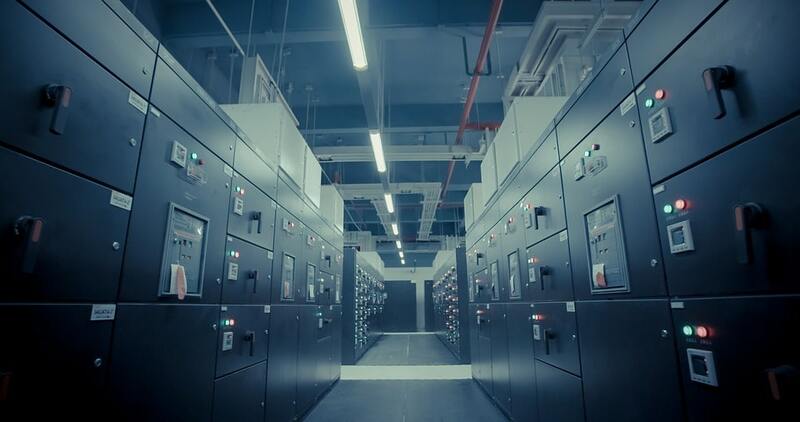 Also the energy meter will facilitate the storage of data on cloud platform, so any surge in the power consumption can be tracked real time and rectified immediately without any delay. 6. Design and Implementation of an Advanced Security System - Invisible Eye: Security has become one of the major concerns among the people living in cities thanks to the increase in crime rates in the recent times. But with the recent technological advancements, the security systems as we see have developed into an entirely different industry itself. The objective of this project is to develop an electrical device that will acts as the smart security system for a place and prevent the theft from happening. The device will be equipped with PIR (passive infrared) sensors to detect the movements within the house premises and alert the residents accordingly with the help of a buzzer. Also the system will be connected with the internet to send the updates to a remote user in a real time basis. 7. Android Based Device Control – Home or Office Automation: The objective of this project is to develop an automation mechanism to control all the devices at Home/ Office. The communication can happen either through Bluetooth or WiFi mode. And these electrical devices can be controlled using an Android App installed in a mobile phone. This process will help in the automation of electrical devices at home and can be controlled with an Android App from a remote location. 8. Biometric System based Electronic Voting Machine using Raspberry Pi: The objective of this project is to develop an electronic device that will use biometric based authentication to take in the votes during election. With much discrepancies happening with the election process across the globe, there is a great need to develop a much smarter voting machine and this project will provide an innovative solution for that. Since biometrics are unique to each individual, tampering of votes will not be possible and government can easily verify for the authenticity of the votes. The device will also be integrated with the cloud platform using Raspberry Pi. So the data collected will be stored online and can be checked by any remote user from anywhere on the earth. 9. Voice Controlled Home Automation using Raspberry Pi: With the usage of smart electronic devices on rise, a lot of companies are racing against each other to develop more innovative devices for the consumers. One such latest advancement that these companies had brought in is the usage of speech recognition technology. This particular technology provides more convenient way of using the electronic devices among the consumers. The objective of this project is to develop an electronic device that will be connected to all the home appliances and can be used to control all of them using speech recognition technology. The user can simply give his/her voice commands to switch ON/OFF all the electronic devices that are embedded within the home. The device will use Raspberry Pi as its brain and it will also facilitate the internet connectivity. So a user from anywhere on earth can control the home appliances just by giving voice commands. 10. Vehicle Anti-Theft Tracking System based on Internet of Things: With the urbanisation on the rise, number of vehicles especially cars entering the roadways have increased significantly over the recent years. This enforced the automobile manufacturing companies to come up with smarter cars that can facilitate advanced tracking system, real time internet connectivity, best in class dashboard infotainment system etc. Among these the tracking system that are embedded in the cars has a very significant role as it can help the owners in the anti-theft car tracking too. The objective of this project is to develop one such car tracking device that can accurately show the car’s location real time and facilitate the anti-theft mechanism too. The device will be embedded with a GPS module which can track the car’s location and a Raspberry Pi that facilitates the internet connectivity. So anyone across the globe can track the car’s location from anywhere on earth easily. This particular device will also be very helpful in case of theft. Above are some of the best IEEE Electrical Engineering Students (EEE) project topics which you can select and build your innovative engineering project. Hope you got some good IEEE EEE project ideas from this article. You can contact us at 1800-200-3855 if you need to talk to our expert team.